Buffalo, N.Y. (April 11, 2019) — Bill Supple, an outdoor industry veteran, has been recently brought on to help grow Outdoor & Sports Company’s Mountain Equipment brand as the Brand & Business Development Director. Additionally, Greg Boyd has been hired to represent all three of OSC’s brands (Mountain Equipment, Bridgedale and Hilly) as a Rocky Mountain region sales rep in the U.S.
Bill Supple is a long time industry veteran and most recently spent seventeen years as the CEO and president of Mammut Sports Group Inc. At Mountain Equipment, he’ll be working with the U.S. team to continue the recent growth of the brand and expand sales opportunities. “With our current growth and trajectory, Bill has exactly the right skills and experience that we need. We are thrilled to have him as part of our growing team,” said Colin Sanders Managing Director at OSC. 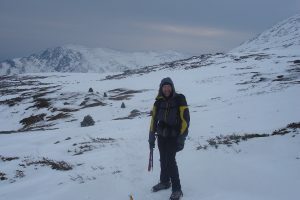 Greg Boyd has been working in the outdoor industry since 2006. He started his career working in a local climbing shop in California. From there he started working with kids as a climbing instructor. A move to Colorado led him to working as a sales rep working with outdoor brands that fueled his personal passion for the outdoors. Today, Greg is now the in-house sales rep for OSC working to expand retailer relationships for the company’s three outdoor brands. Retailers interested in carrying Mountain Equipment, Bridledale and HIlly in the Rocky Mountain region may contact Greg Boyd at greg.boyd@oscnainc.com. To reach the national sales manager for any of the OSC brands nationwide, contact sales@oscnainc.com. Mountain Equipment specializes in designing and marketing technical outdoor clothing and equipment, including GORE-TEX® and down insulated outerwear and a full range of sleeping bags. Bridgedale designs and manufactures technical socks for walking, hiking, mountaineering, running, skiing, and everyday use. Hilly specializes in designing and manufacturing running socks for urban and trail runners. Ron Hill is a technical performance running apparel brand that is sold in the UK and North America. Outdoor & Sports Company Inc.